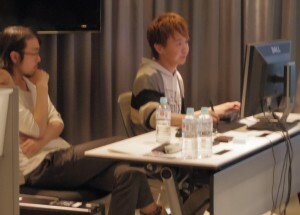 Technical director Nozawa, Ishida, and Kim gathered at Shibuya E Space on May 17 (FRI) to talk about Cloth Simulation. After the seminar announcement, we received twice as many applicants than available number of seats so in the end we had to do a draw. We apologize if your name was not drawn but we will keep you updated, so stay tuned. This time our topic was on cloth simulation so we introduced our workflow on 2 tools, Marvelous Designer2 and Qualoth. 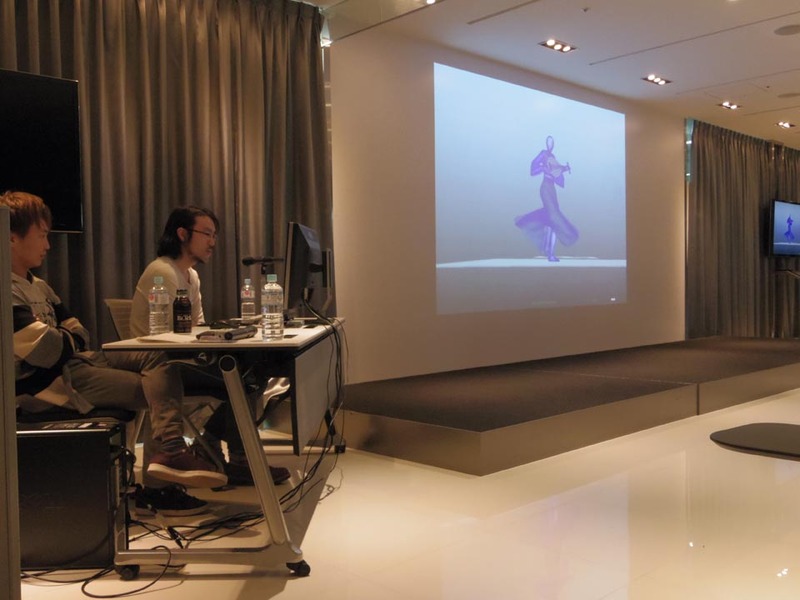 In the first half, we used data from a film project to actually create clothes on Marvelous Designer2. Then after a break we moved onto Qualoth workflow and talked about advantages of Qualoth by using characters from a previous project. We also compared Qualoth, Syfled and nCloth. Digital Frontier had been using Syflex in simulation workflow for many years however we recently switched to Qualoth. Using a diagram we described the difference between these tools and why we chose to installed Qualoth. 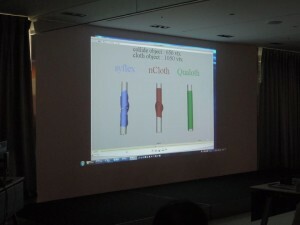 The following video which was also presented at the seminar shows the collisions in Qualoth. The video shows a simulation which took 10 seconds to do 1 frame but we didn’t edit anything here. Although we still need to figure out ways to get the best result, it is still quite efficient. This next video was especially made for this article and we didn’t have it at the event. We added smooth and increased the number of polygons. This one took 40 seconds per frame. Although it took us longer, the details such as the wrinkle are much better. 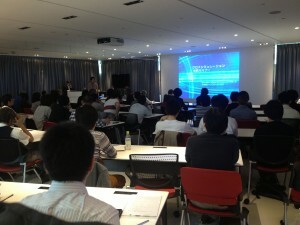 You can also download the script that we introduced at the seminar. This script allows you to apply WrapDeformer on Maya. At Digital Frontier, we would like to share our know how and help the industry through these events so don’t miss out on our announcements!